HTel Resort in Ban Bang Nam Phueng is a small-scale hotel with 10 Rooms. Situated 300 metres from Bangkok International Trade and Exhibition Centre BITEC, HTel Resort in Bangna offers a garden. Among the various facilities are a terrace and a bar. The property is non-smoking and is set 9 km from Mega Bangna. All units in the hotel are equipped with a kettle. The private bathroom is fitted with a shower and free toiletries. 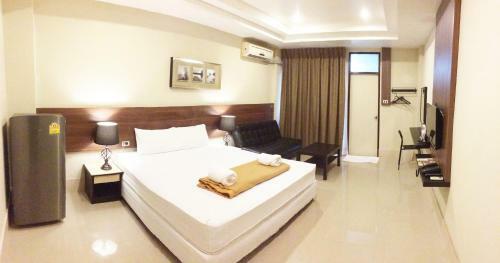 At HTel Resort, each room includes a flat-screen TV with cable channels. Speaking English and Thai at the reception, staff are always at hand to h...elp. Paradise Park Shopping Centre is 7 km from the accommodation. 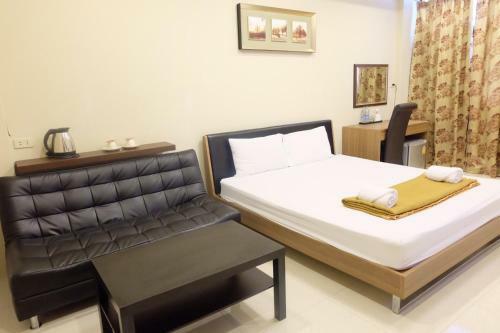 The nearest airport is Suvarnabhumi Airport, 31 km from the property. Situated 300 metres from Bangkok International Trade and Exhibition Centre BITEC, HTel Resort in Bangna offers a garden. Among the various facilities ...are a terrace and a bar. The property is non-smoking and is set 9 km from Mega Bangna. All units in the hotel are equipped with a kettle. The private bathroom is fitted with a shower and free toiletries. 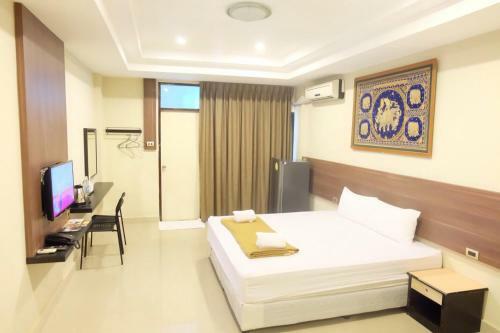 At HTel Resort, each room includes a flat-screen TV with cable channels. Speaking English and Thai at the reception, staff are always at hand to help. Paradise Park Shopping Centre is 7 km from the accommodation. The nearest airport is Suvarnabhumi Airport, 31 km from the property. When would you like to stay at HTel Resort?